This is really really yummy! 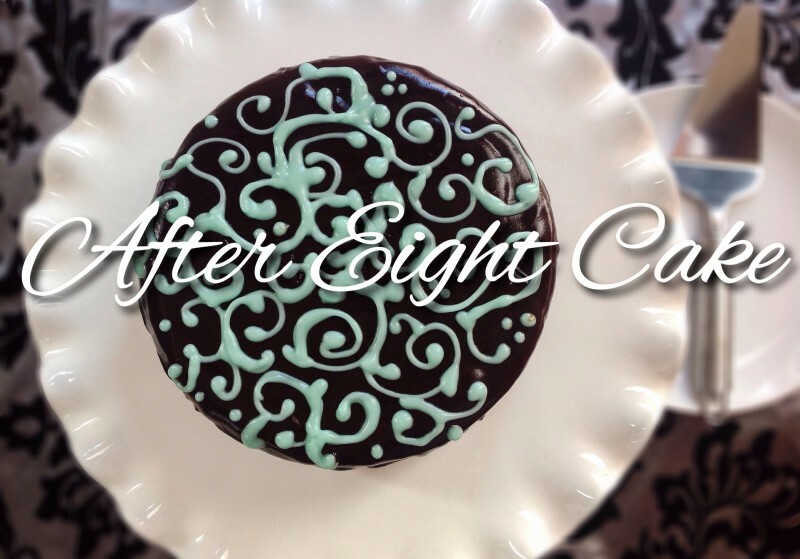 ‘After Eight Mints’ in CAKE FORM ! It would make a delicious and refreshing dessert for after dinner. But what is great about it, is that it is also very simple to prepare … even the Chocolate Ganache, could not be simpler! Preheat oven to 170C. Grease and line a small, round spring release cake tin and put aside. Using a hand held mixer, beat the sugar with the egg yolks, together with a pinch of salt until the mixture is of a lovely yellow colour. Slowly add the flours and baking powder and mix gently with a spatula. Add also the yoghurt, the oil, the mint syrup and 1/2 tsp of mint essence. Add a drop of food colouring if necessary, to obtain a lovely minty colour. Combine well. 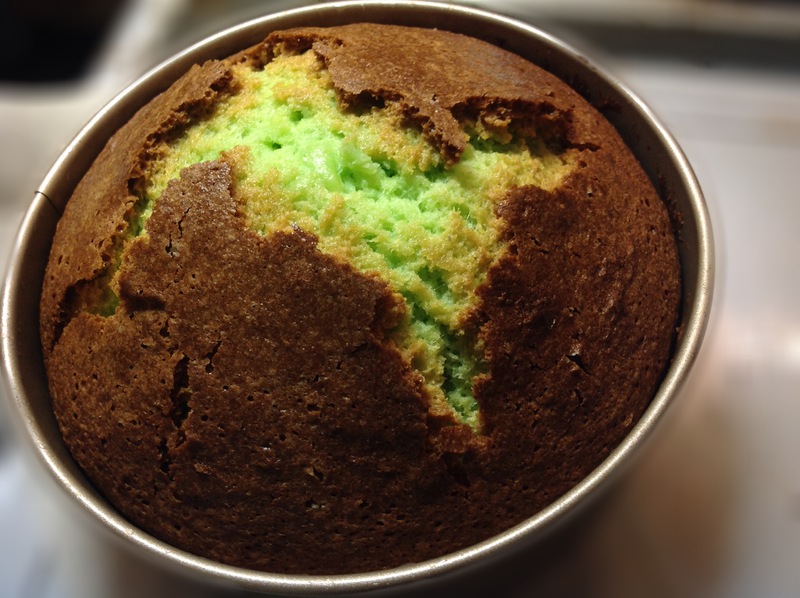 In another bowl, beat the egg whites until soft peaks form and add this to the cake mix, combining well, but gently. Pour the mix in the prepared tin and level. Put in the oven and bake for approximately 45 to 50 minutes or until a skewer, when inserted in the middle, comes out clean. Remove from the oven and leave to cool. When cake cools. remove from spring form pan, slice off the top to level. Transfer the cake to a large plate. 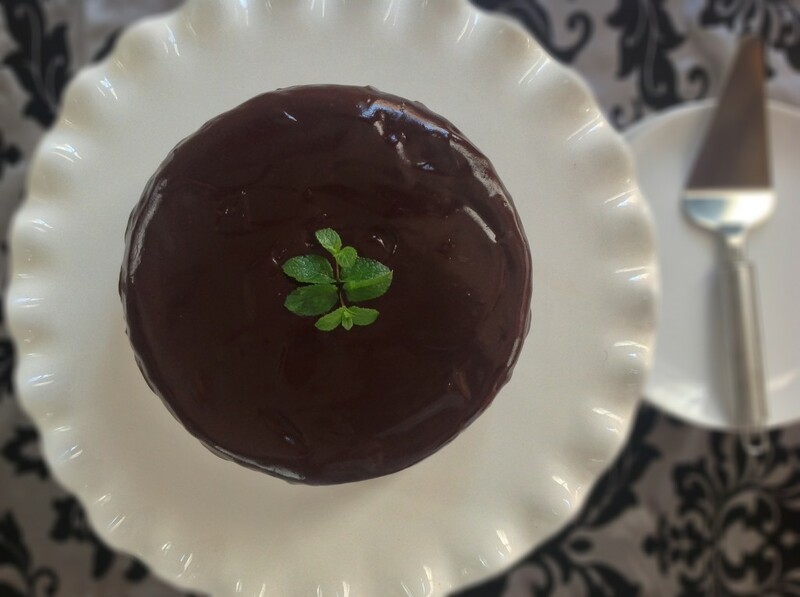 In the meantime you can prepare the chocolate ganache. Put the cream in a saucepan and bring to a boil. Remove from the heat and add the chopped chocolate. Add a knob of butter and stir until all the chocolate is dissolved. Add half a teaspoon of the mint essence and mix again. Pour the chocolate ganache over the cake, guiding it with a spatula, to cover the whole cake – top and sides. Leave to set. 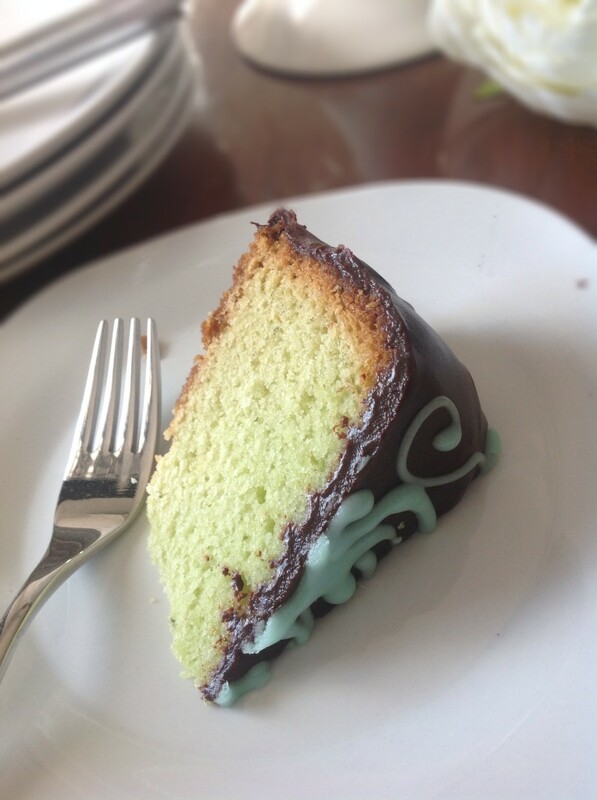 Or else you can make it look prettier by preparing some Royal Icing, adding the Mint Syrup instead of milk or water so it will take a green hue and pipe the top with squiggles.